Another winter lay-up cover made and fitted in the Autumn. Cover extends down to the waterline and has zipped doorway access aft. 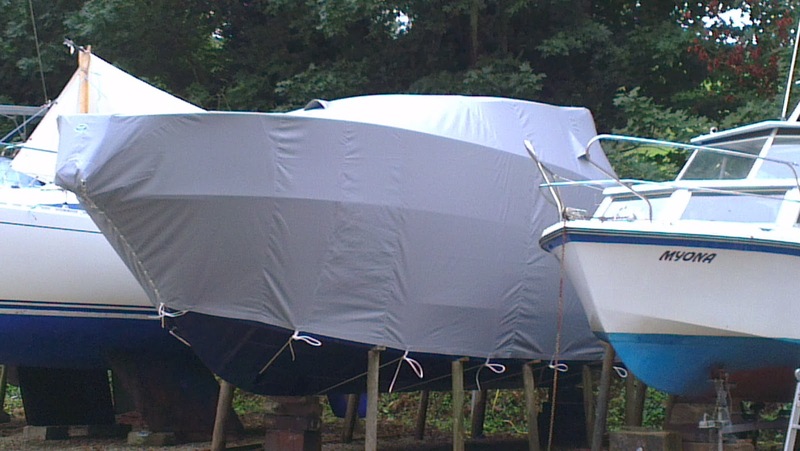 All our winter covers have PVC patches on chafe points to ensure a long life from your cover.We also provide vents on all winter covers to allow airflow over the boat.